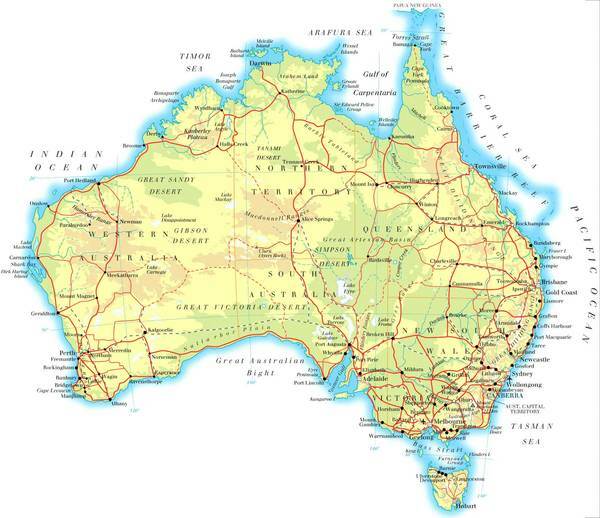 Australia Immigration Law and Citizenship laws are Federal law are complex and at any given moment, subject to change and review by the Department of Immigration and influenced politicians, the economy of the country and by other government bodies. It takes a trained professional with a great deal of knowledge and experience to find the right path for you to enter the country of your choice. James Cagney is the founder of the International Immigration Alliance (TM) and he has over twenty five years of experience in migration. International Immigration Alliance has assisted thousands of families in successfully migrating to the country of their choice. James original migration office in South Africa and London are now independently owned and operated by Relocation Alliance cc and continues to handle migration through licensed professionals in Australia, New Zealand, Canada, the USA, and the UK. We have associates who are licensed for New Zealand immigration that we will refer you to by clicking>>>>HERE. Other eBooks you can access by Internet guru under James Cagney's license is Brett McCall's by Clicking >>>>HERE. The "7 Pitfalls you can make when buying an investment property" eBook covers pitfalls to avoid if you want to become a successful immigrant. Recognize that what you should not do is as important as what you should do to enable you to assimilate into your new homeland. Many migrants never get over leaving their country of birth because they have strong family attachments. You will need to build a new life and decide to move forward and make the best of your new homeland. To this end we are providing you with the seven most frequent blunders migrants regularly make. The total blunders I have heard that migrants have made is very very distressing and far too many to cover in this eBook. I have included are strategies on how to succeed and overcome these pitfalls when arriving in your new home country. New migrants often believe that because we look the same and may speak the same language that we will 'fit in' without any effort. Nothing could be further from the truth. Migrants must learn about the law of the land and make every effort to assimilate. Many migrants find security in settling in communities where their countrymen have set tled, and while this is comforting in the initial settlement period, this practice does not help new migrants integrate into Australian society. Think about settling nearby of these groups but not in their 'pockets' so that you can benefit from the comfort of having your 'countrymen' nearby whilst having the opportunity to socialize with your new countrymen. Be prepared. The experts and experience tell us that any major change in our lives - death, separation, relocating and marriage etc, are situations which will create stress. It takes an average of two years to adjust to any major situation. Be prepared to experience the roller coaster high's and low's. Be prepared to make the effort to meet people. Join sport clubs, mothers' groups, school committees etc. Have your children join sports clubs, dancing studios so you can meet the parents. Make an effort to know your neighbors. For testimonials on what James has done for his clients click>>>HERE. To be successful and to know where we are going - we need a written plan. We should ideally have a written plan for the short term (1 -3 years plan) and medium term plan (4 -9 year plan) a long term plan (10 year plan) and, finally, a Retirement plan. Paul J Meyer said "Whatever you vividly imagine, sincerely believe and enthusiastically act upon, must inevitably come to pass". Wise advice so set yourself realistic, achievable goals. These goals must be in writing and have a deadline for their achievement. Your 1 2 year plan: Settling by finding a home to rent. We suggest that you rent a property initially as this gives the flexibility should you decide to change jobs, schools or simply because you find a suburb you prefer. Setting personal goals for the short term include planning to meet the expenses for your family's immediate needs. Your 3- 7 year plan: This is the plan for where you expect to be in the longer term. What income you expect to be making by then and how to achieve this goal. e.g. : further education or training for yourself and/or your spouse and; children: cost of schools, university education, saving for your holidays etc. Plan for the purchase of a new home once you know where you want to live and work. Start looking at purchasing investment property to assist you to save income tax, reduce your home mortgage, and provide for your future. Your 8 10 year plan: Time to visualize your long term goals. At this time you should have a clearly defined goal for your retirement. Australians, can no longer expect to rely on our Superannuation or the Government of Australia pension to take care for us in our old age. The Government pension provides a minimal income for low income individuals. The pension will not be available for most of us and the Government intends to raise the eligibility threshold higher and higher because they can't afford to pay pensions to the millions of Baby-Boomers who have retired and intend to retire within the next five years. Superannuation funds have their base mostly in the stock market and you do you want to have your retirement based on the ups and downs of the stock market. Remember the stock market crash during the Global Financial Crises (GFC). You will need to continue to invest in property which will provide the passive income you will need in retirement (safe as bricks and mortar). Your Retirement Plan: This is the most important plan of all. Most immigrants who leave their country of birth do so for the future of their family. 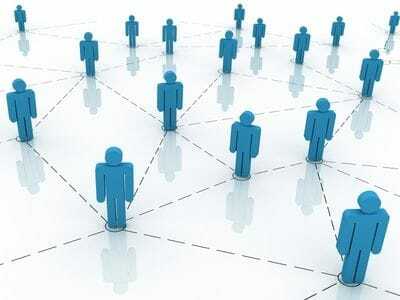 It is a challenge to immigrate successfully and you will have to work hard to establish yourself in your new country. Get the right advice from qualified people. 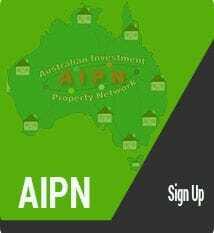 Speak to reputable accountants, mortgage brokers, financial planners, real estate agents, business consultants etc. To gain insight into the Emotional Stages during the settlement process click >>>> HERE. Call James Cagney at: 0416 137 645 or go to www.jamescagney.com.au for assistance in this regard. No. 4 Blunder: Not understanding your "Sense of Loss"
After the initial euphoria and having the feeling that you are 'on holiday' reality will set in and as we attend to the matters of living our daily lives many migrants will start to experience a feeling of sadness or a sense of loss. They may be feeling the loss or separation from family members and of familiar surroundings. This is especially hard for the 'stay-at-home' wives or mothers. Migration can be over whelming. We have had clients who phone us whilst they are in the supermarkets and where the task of purchasing something as simple as washing powder has become an ordeal because the brands of washing powder are unfamiliar.The new migrant may be particularly close to their family and struggle with the sense of loss of contact with family. Migration is definitely not for the 'faint of heart'. Go to this info to gain insight on how to deal with the emotional roller-coaster you will be on by clicking >>>> HERE. The successful migrant who wishes to assimilate easily must be prepared to change some of their long held beliefs. Expect to have your ideas, beliefs (not religious), goals, prejudice challenged. Be prepared to consider that some of the customs of our place of birth have no place in your new homeland. Migrants should be prepared to 'fit in' and not automatically expect our new country to change to accommodate them. You are not bigger than the country and its' existing culture. Australia has a high standard of education and skills. The Government has low cost loans for students for tertiary education. The universities and technical colleges are internationally recognized for their high standards. There are apprenticeships readily available and employers receive government assistance for each trainee or apprentice they employ. Many immigrants have degrees and expect to come to Australia and find employment immediately and at a salary they demand. Well, as many migrants relate, that did not happen when they first arrived in Australia. The major issue is that Australian companies want work experience. It's a chicken and the egg scenario which came first? Most migrants do not have the option of working for nothing to gain work experience but new graduates in Australia do and so the competition for jobs are fierce. It is vital to prepare a suitable resume which will contain your qualifications, your expertise and your unique skill set. Always include any situations where your contributions have benefited the employer, consumer or efficiency of your profession. Ensure that you are fully prepared for your interview. Conduct research on any company where you will be interviewed so that you will be knowledgeable and confident. Unfortunately your expertise in any overseas country is not likely to be beneficial unless the company you worked for is an international, well known company. "Never, Never, Never Give Up" Donald Trump. Success could be just around the corner. The next phone call........the next interview ....... the next follow up call. You are going to need advice and support in this regard and James Cagney can assist you. Call James Cagney at: 0416 137 645 or click >>>>> HERE. .
commitment to running a business is a "Duty of Care" to the consumer and customer. 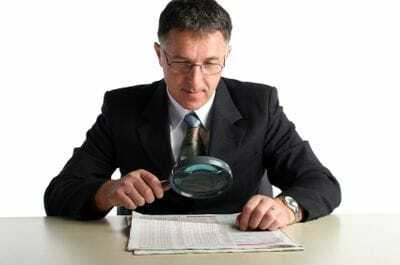 There are numerous controlling bodies and institutions that ensure that business comply with strict regulation and a "Code of Ethics" generally applies. You will need the services of a professional accountant before you set up a business. James has an organization called the Integrity Marketing Network and the Integrity Business Network which is able to recommend professionals in all of these fields who will help you succeed in business in every State in Australia. Call James Cagney at: 0416 137 645 or click >>>>> HERE for assistance in this regard. Having tried everything under your control and availed yourself of all the government assistance available, and if you simply cannot assimilate then you have the option of returning to the county of your birth. That should be your last resort because returning back to the country of your birth presents all more challenges. James left a highly profitable immigration business in South Africa to start all over again at 48 years old. He opened a business that lost money and his South African Rand at 8 :1 to the Aussie dollar soon dissipated. Think back his spouse and he believe that it is worth it for the lifestyle and the high standard of medical assistance available to Australian residents. James and Shelagh have 15 grandchildren living in Australia who have the benefits of a first world country. They enjoy the freedom and education that children do not have in third world countries. So if you think you can't make it do it for them. Do not make failure an OPTION. 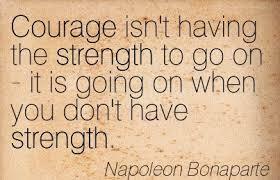 I am reminded what a great warrior said " Courage is not have the strength to go on - it is going on when you don't have strength" Napoleon Bonaparte. 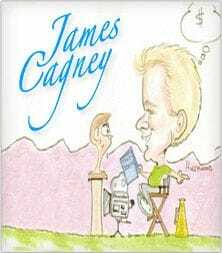 The Author, James Cagney, is a Registered Migration Agent (No. 9900101) and will give you advice in making a success in your new country. Call James directly by mobile at 0416 137 645 or email jfc@jamescagney.com.au . Trying to do your own migration can cause huge delays because you do not have the knowledge of immigration law; procedures; quotas; language skills and qualification requirements. Your situation may be different to those of your family and friends. The notion that "one size fits all" is a huge blunder. Any delays and the frustration you inevitably feel could well make the difference to your success as a migrant. Most time FREE advice is worth as much as you pay nothing! CONCLUSION & DISCLAIMER: The information contained in this eBook is not a substitution for Professional Immigration advice and only contains information of a general nature. The contents of this eBook contains information which been prepared by James Cagney, founder of the International Immigration Alliance ® . James has successfully complete d the "Immigration Law for Migration Agents" course from Deakin University Australia and a Registered Migration Agent (No. 9900101). 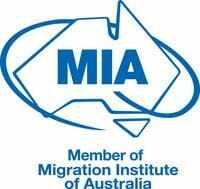 James is also a long standing member of Migration Institute of Australia and as such must meet the stringent "Code of Ethics" of the organisation. The objective of this eBook is to ensure that information regarding some (but not all) the blunders people make when immigrating to a new country at no cost to you. Get professional advice when considering moving to a new country. Contact James Cagney on +61 416 137 645 or go to www.jamescagney.com.au.